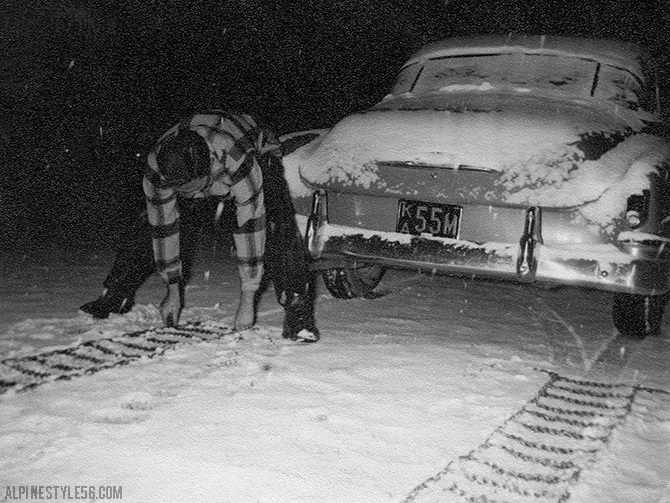 No need for chains with studded Hakkapeliittas – snow tires are on! My Subaru now drives like a little tank. Overkill perhaps, but it is habit and peace of mind for the thousands of miles logged up to and around Vermont all winter long. My dad has always told me, “Good tires are cheap insurance.” I have taken that to heart and think I get as excited about a fresh pair of Nokian Tyres as a new pair of skis! Safe driving to everyone this winter. . .
x x x x x Best Made Company® is dedicated to equipping customers with quality tools and dependable information that they can use and pass down for generations. We seek to empower people to get outside, use their hands and in doing so embark on a life of fulfilling projects and lasting experiences. 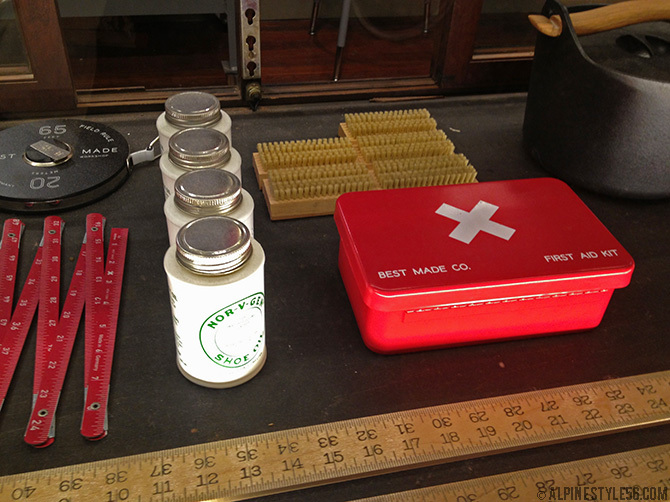 Founded in 2009 with their now-famous axe collection, Best Made’s product line of tools and supplies has grown to include apparel, bags, knives, first aid kits, enamelware, maps, badges and assorted other utilitarian items in luxe execution. 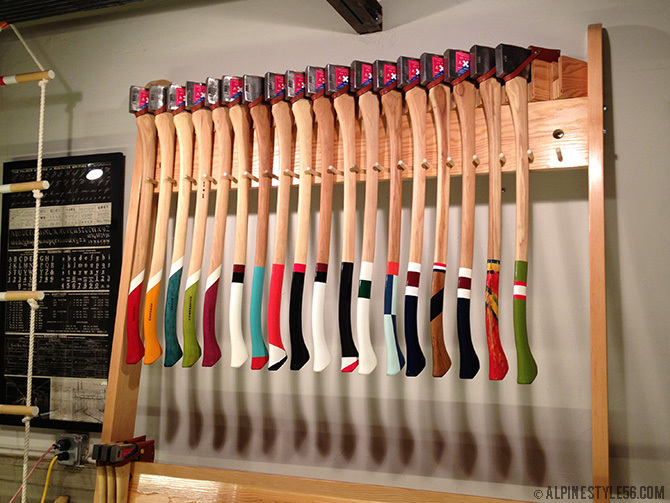 Product is tightly edited, presentation and merchandising are delightfully straightforward. 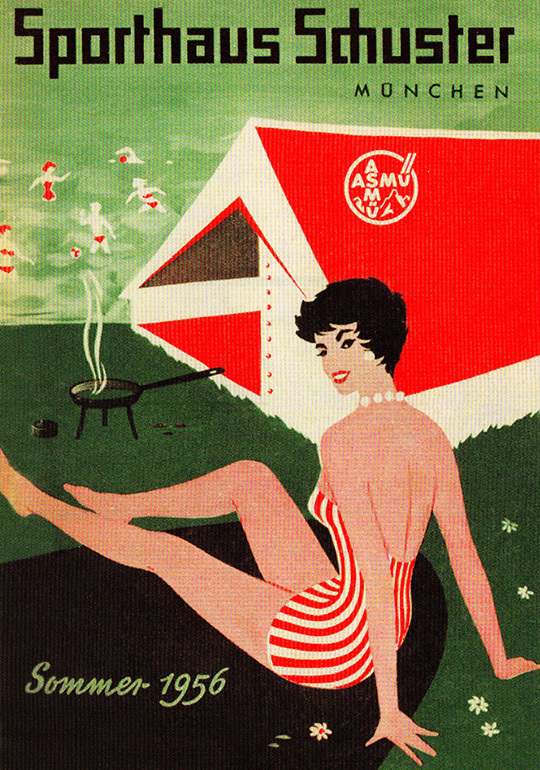 The aesthetic and brand identity are simple, clear and deftly make the nostalgia of camp and the great outdoors modern. 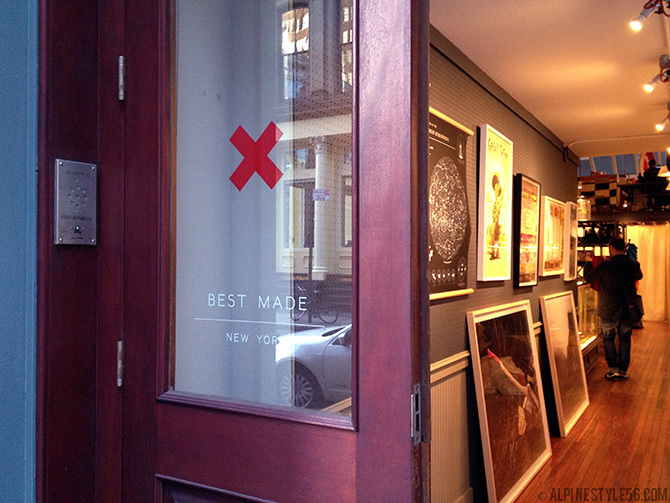 Best Made Co. is function, quality and community – and absolutely worth a visit: in person at 36 White Street, Tribeca, New York, NY or on-line at bestmadeco.com. 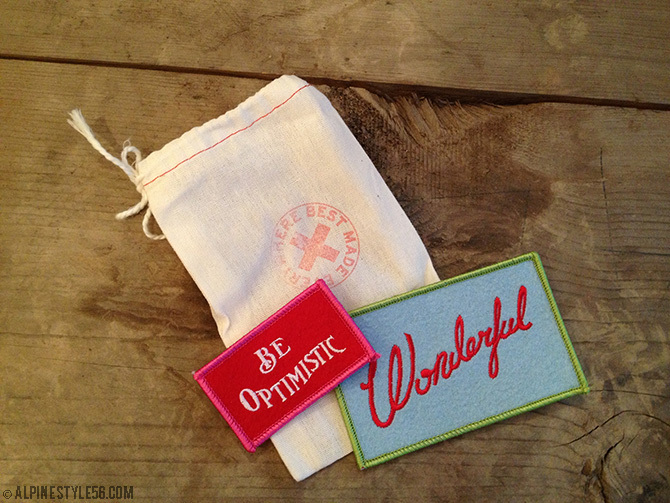 Communications from the brand, both printed and electronic, are a pleasure to receive. 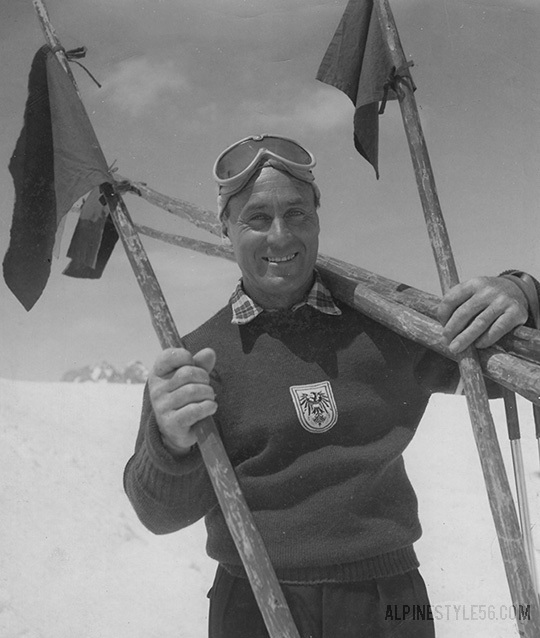 2/3/1974 Press Photo: The alpine ski world championships in St. Moritz have to change their program for the downhill race for men had to be postponed, the bad weather did not allow the necessary pre-race training on the run. So these fast men on their narrow woods have to wait for sun. 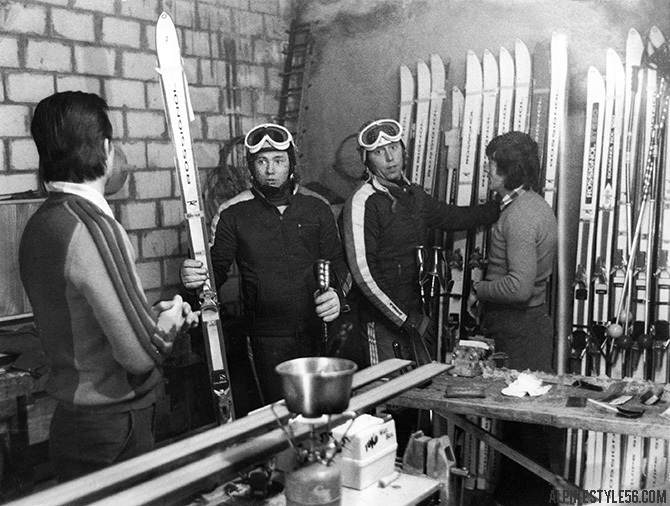 Top favorite Roland Collombin (right) and his friend Philippe Roux bring their skis for waxing to Swiss wax-expert Paul Berlinger (left). 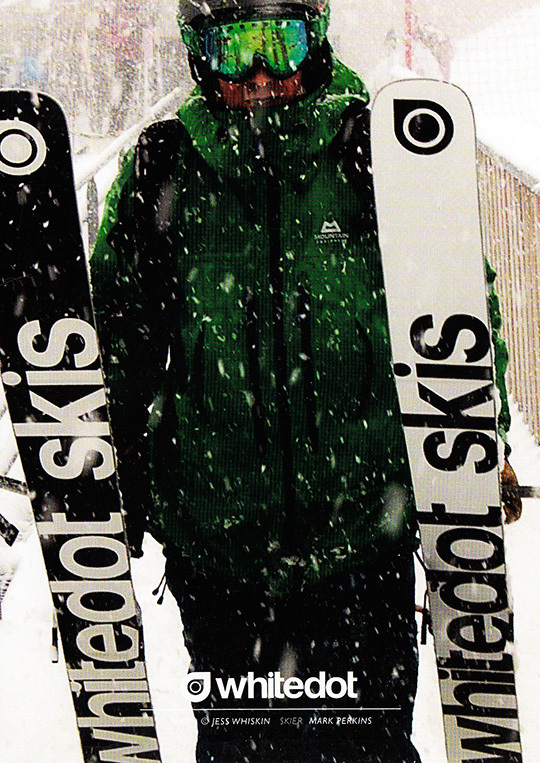 Tonight I arrived home to the smell of ski wax – yes! I consider myself fortunate that my husband tunes a mean ski. We probably have another week or two until we are on snow but our skis are ready! 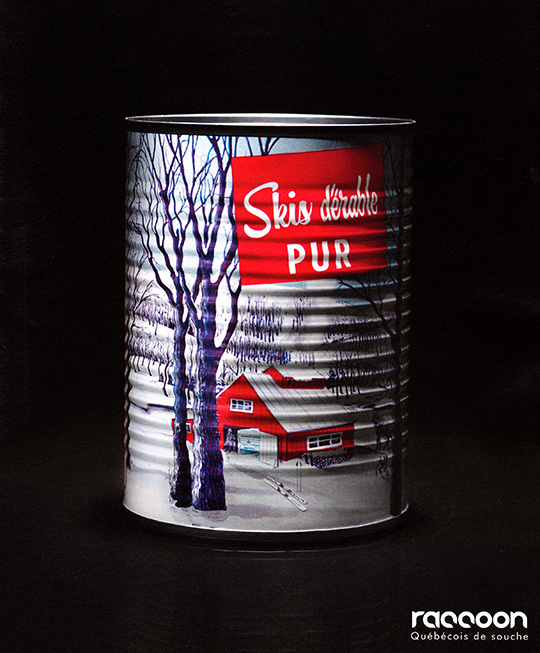 Rad ad: maple syrup, maple skis. A passionate company. Check the RACCOON web site. Peepholes in the window display created curiosity and revealed the latest swimsuit fashions for summer 1959. 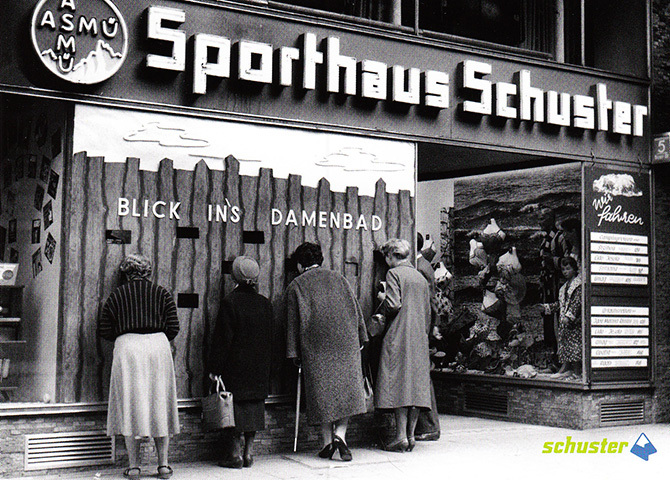 Celebrating 100 years, Sporthaus Schuster opened in 1913 as a sport specialty shop for mountaineers and skiers. 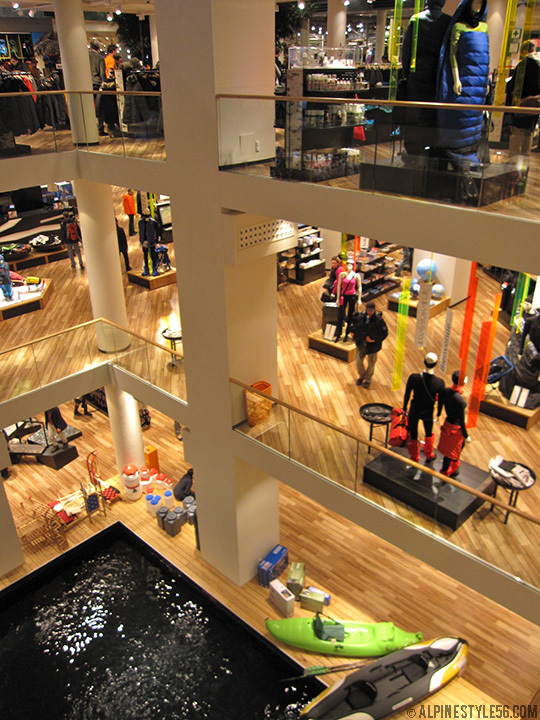 Located in the heart of Munich, the enormous 5,000 square meter / 5-floor store offers all that is good to buy for outdoor sports. With top-notch merchandising that is both clean and cozy, I love how much energy and vitality Schuster gives to the sale of outdoor gear. This is not, by any means, a traditional, sleepy outfitter. 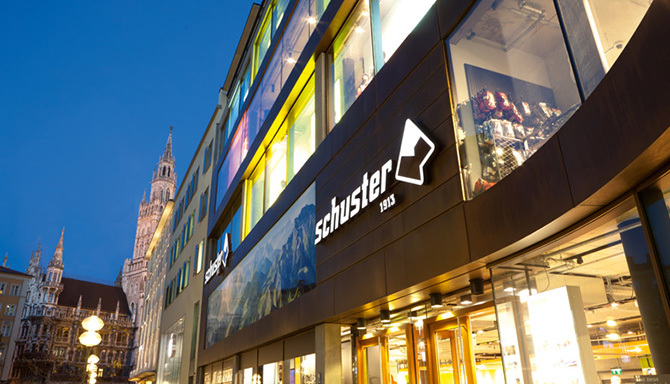 In addition to offering all the usual leading brands, the primary value of Schuster shopping is access to European specialty brands not readily available in the US: Peak Performance, Maloja, Houdini, Eisbar, Dynafit, and so many more. Check the top floor for a chapter of Deutscher Alpenverein (DAV), the Bavarian mountain club, helpful with educated staff, maps and info. 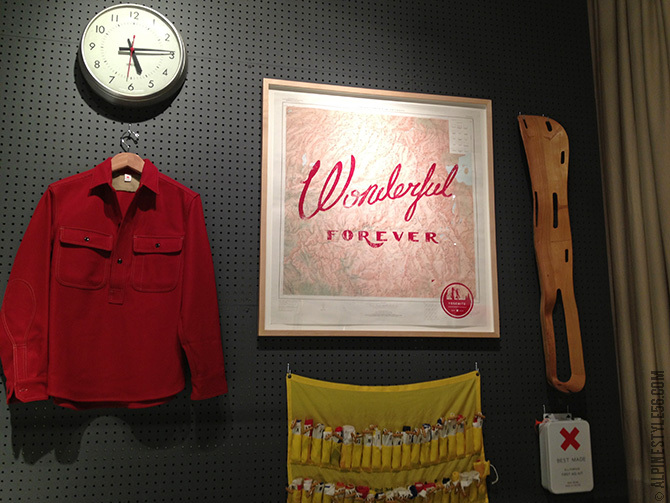 Don’t miss the Gustl store-in-store on the main level featuring contemporary souvenirs celebrating Bavarian heritage. 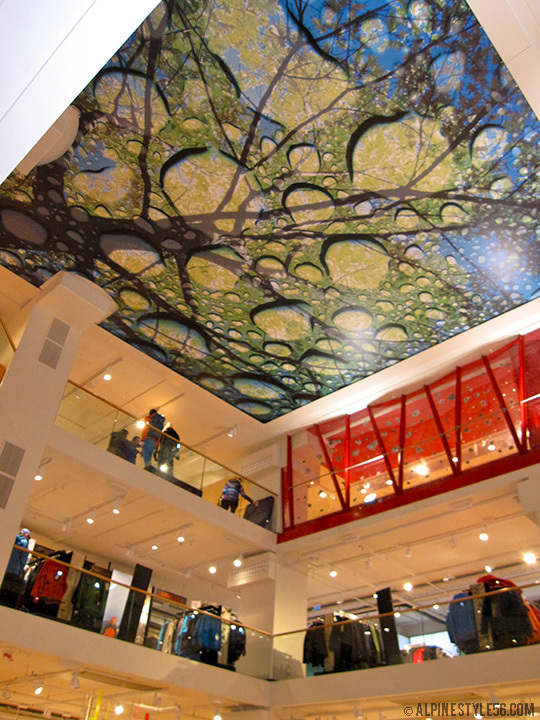 And you won’t be able to miss the 25-meter climbing wall running the height of the shop. I get a little bit fanatical about this place, so for me it is my first shopping stop in Munich. I allow two or more hours and to be honest, usually have a chaser visit to go back for additional items. At any rate, if you are in Munich do yourself a favor and stop in Schuster! 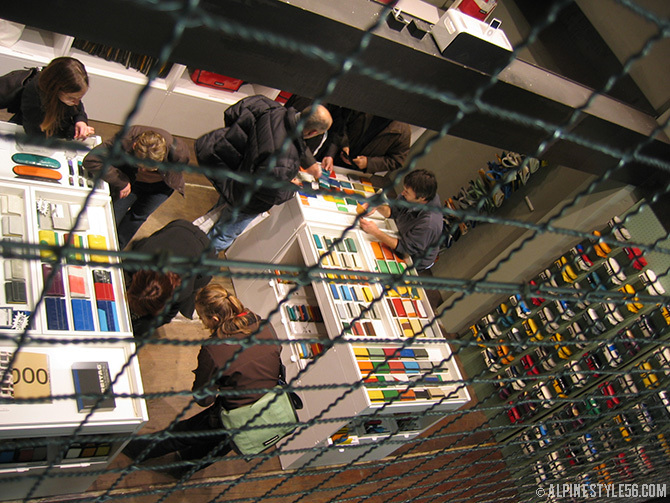 The Globetrotter shop in Munich is a massive four floors of outdoor clothing and equipment presented with the most thorough, precise and functional merchandising I have ever seen. 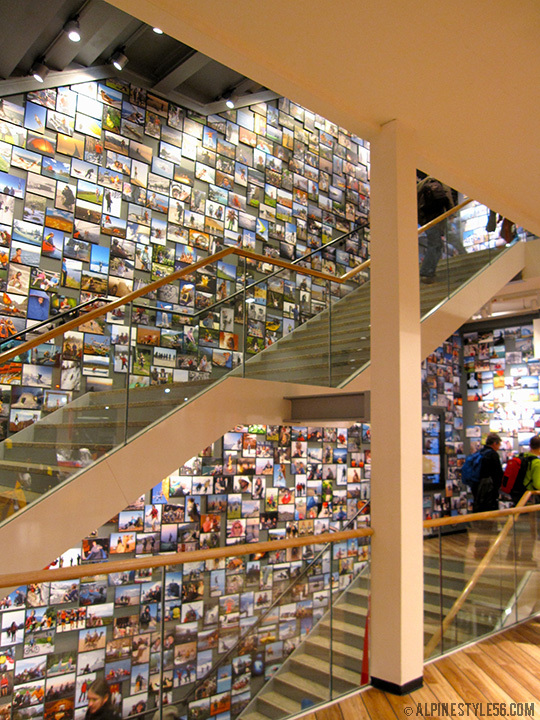 This German specialty retailer aims to make shopping an experience – and they succeed. 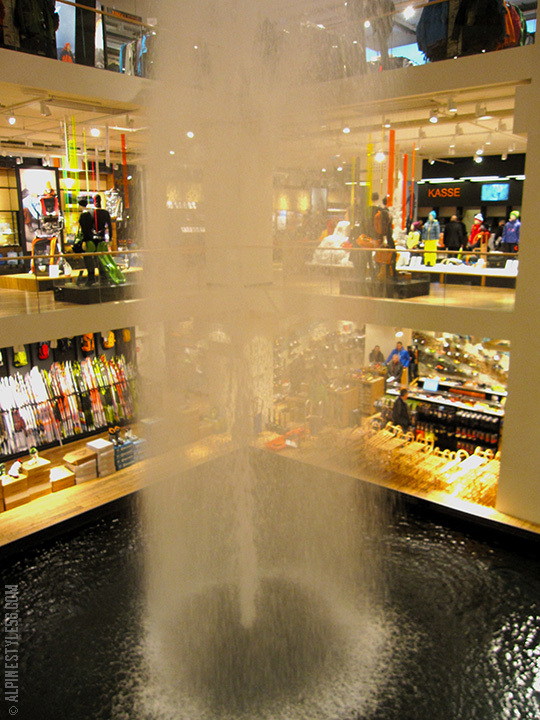 x The tank on the lower level for testing kayaks and canoes erupts into a geyser that reaches the top floor. 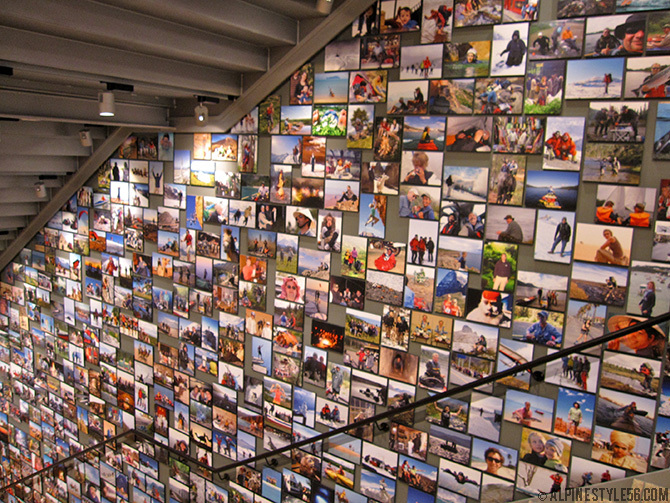 x Thousands of photos line the stairwells – it is visually staggering and impressive in execution! The top floor hosts a large branch of the Bavarian alpine club, Deutscher Alpenverein (DAV) – complete with extensive maps, information, merchandise and educated staff to help plan mountain adventures. A 360° tour can be viewed on the Globetrotter web site; this video provides a walking tour – both show off the gorgeous fixtures and unique features of this store. I strongly recommend a stop at Globetrotter to shop the wide selection of premium outdoor brands or just for inspiration. 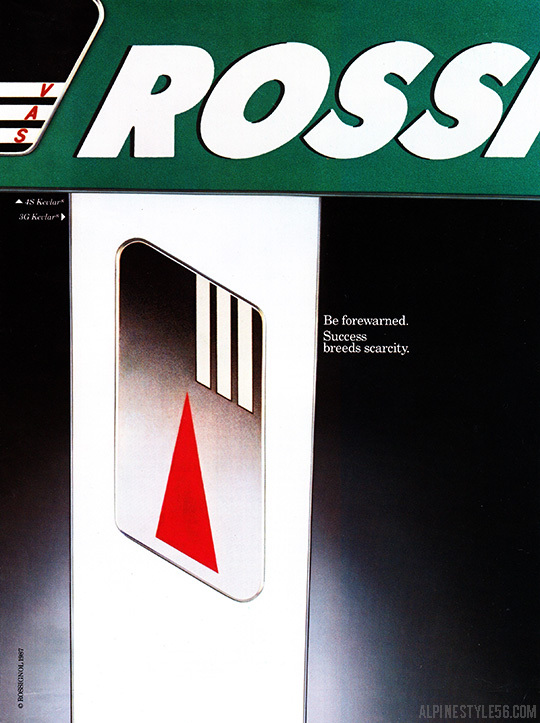 A dramatic overhaul to what had been sedate gray and black graphics, this generation of the 4S slalom ski ushered in the distinctive look of green – or teal green as in my memory – and in my opinion, became an icon of its era. The clean white of the smooth, fast and fun 3G emphasized the graphic impact of this collection. This never gets old. 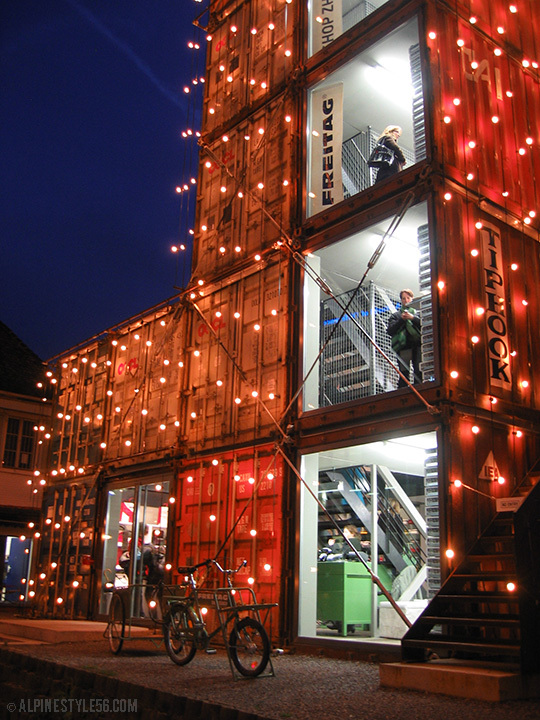 The Freitag store in Zürich constructed out of 19 freight containers with four floors of merchandise and rooftop access is definitely a shopping experience worth having. There is the efficiency of the architecture. 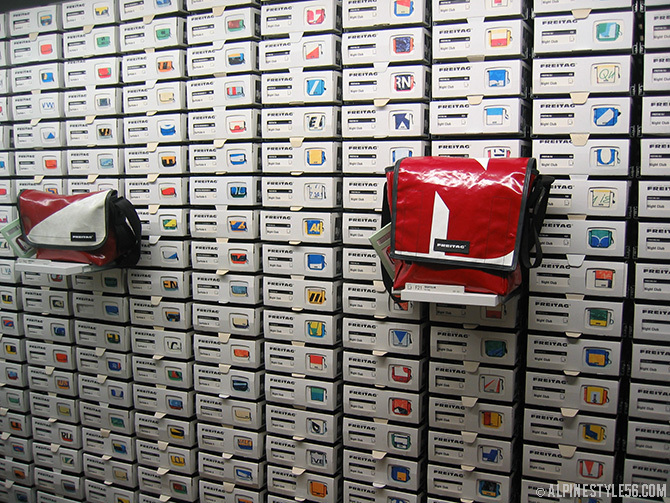 And then there is the marvel of the interior — how Freitag, seemingly unflinchingly, devised an orderly (and visually impactful) system to present each individual piece of merchandise. 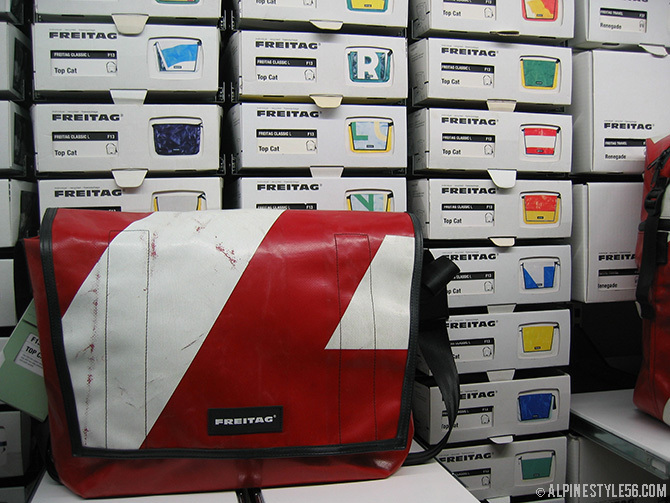 Freitag manufactures courier bags, tote bags and small accessories out of reclaimed truck tarps and recycled bicycle inner tubes. 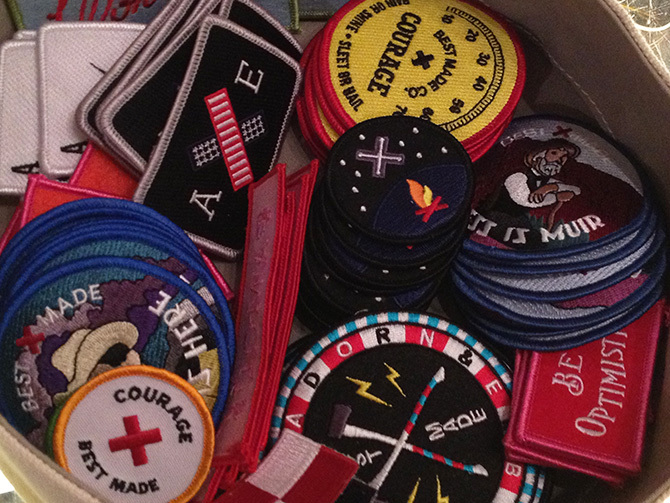 No two pieces are alike. 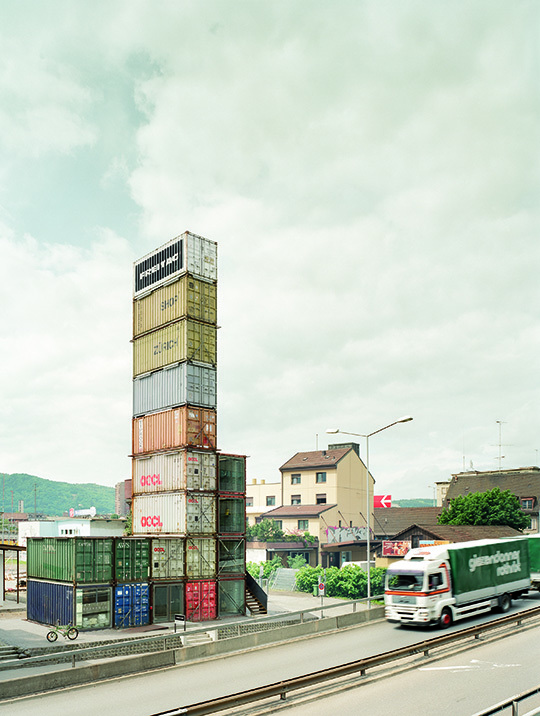 Production is in Zürich and has been running since 1993, long before repurposing was a trend. The finished products are rugged beyond any expectation and with their graphic look are icons of contemporary Swiss quality and style. 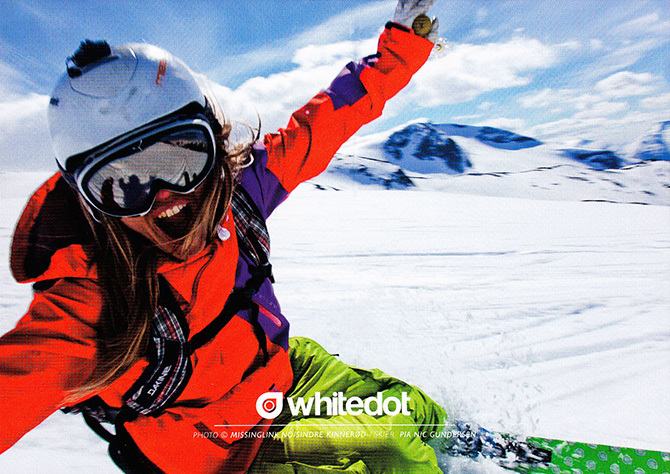 These Whitedot postcards have been hanging in my office for over a year and I still find the images to be pure inspiration – all clean graphics and intense color communicating raw enthusiasm for skiing! This photo truly gives perspective to what ski race gates used to be! Watch modern hinged gates in use at the World Cup technical races this weekend: the ladies are at Ofterschwang, Germany and the men at Kranjska Gora, Slovenia.